We celebrate the fact that we make wine in a region where vintage variations play an important role. Atypical growing seasons are a nightmare for commercial wineries interested in making consistent but boring wines. For us, however, it defines our interest in wine. We look forward to seeing what Mother Nature gives us to work with each year. It is the effects of each vintage on the finished wine that urges us to start verticals of our favorite wines then follow their evolution and discuss their merits at tastings with friends. 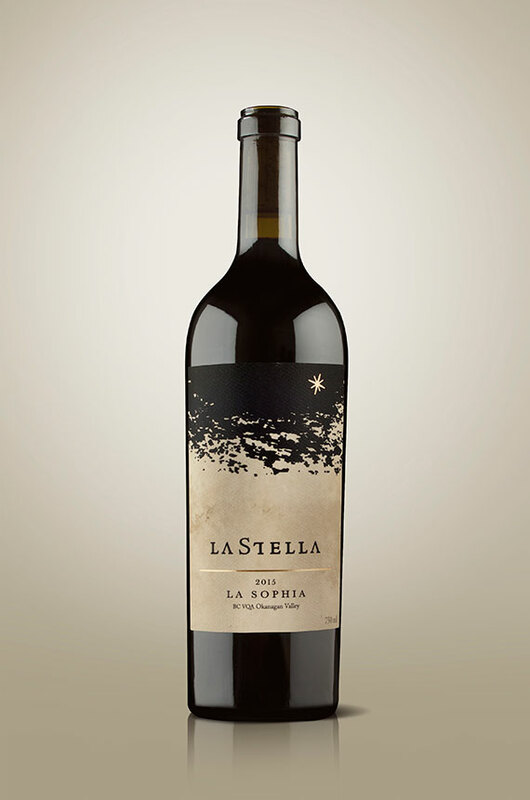 La Sophia is our small lot 100% Cabernet Sauvignon bottling. Akin to the great examples of Cabernet Sauvignon from the coastal areas of Tuscany: Maremma and Bolgheri. Similarly, La Sophia draws a comparison to the great cabernets from Washington State rather than the plusher and fatter examples from Napa Valley. 2015 La Sophia like past vintages continues to wow right off the bat. None of the “green mean leafy” notes from underripe or overcropped Cabernet is found here. The colour is deep purple and opaque. La Sophia presents a great nose of cassis and elderberry mingling with cigar box, dusty pottery studio notes, dry sauna, grilled Anaheim peppers and cured tobacco leaves. Whispers of aromatic herbs like rosemary and thyme weave in and out. On the palate, there is great weight, firm and chewy tannins with a balanced natural acidity. Decant for an extended time or keep your hands off and let this jewel of a Cabernet slumber in the cellar for at least a few years. A monumental Cab.